Such a lovely vignette! Are you sure you're not an interior designer? I absolutely love this! 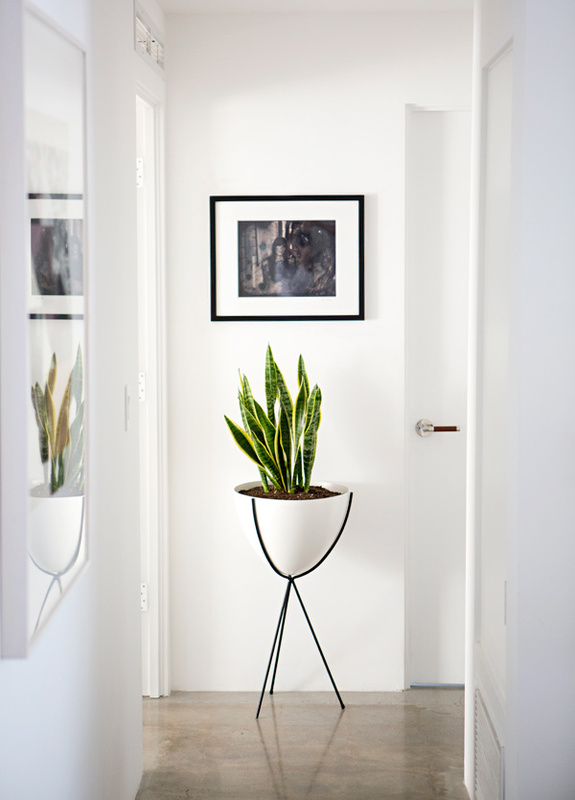 I've never really been a fan of the snake plant, but seeing it in this hallway in that planter really make it look fantastic. Looks great! Do you happen to know the brand of the planter? I love it! Your home (and your style) is impeccable! I'm so inspired. Thanks so much everyone, so happy you like it! are your floors poured concrete?? I love them. Love all your house updates! We got the same planter from Gilt too for one of our fiddle leaf fig plants. Love it! Love it and love the door handle! sarah, i totally agree, sometimes the smallest additions (or subtractions) can make a huge difference. Gorgeous. Such great taste. I love all the little touches in your space. 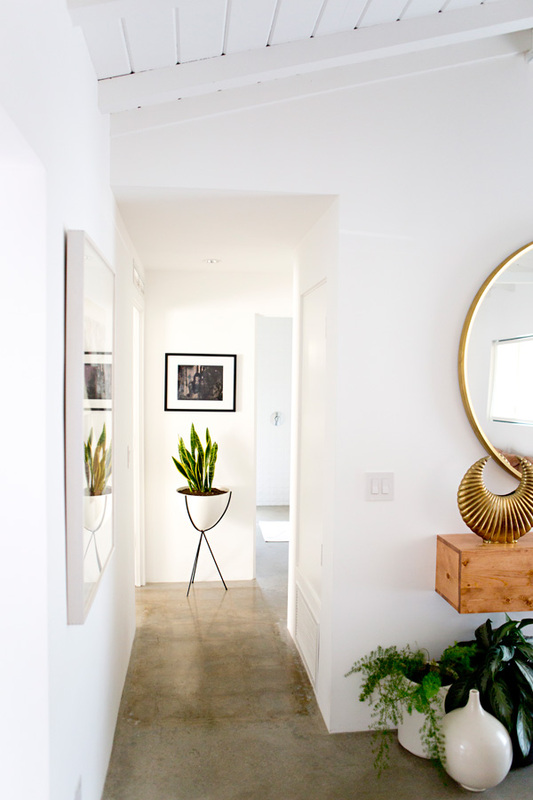 LOVE your entryway..that planter! I know you said it's from Gilt, but who makes it? I love all the house updates! Even the little ones lol Looking forward to more reveals! ahhhhh i want one of those bullet planters so bad. looks fab. Today this place currently the hot cake for hotel industry across earth. Low marketplace agents commission rates are possible for many reasons. Hi, where did you buy the rack you have the plant in?